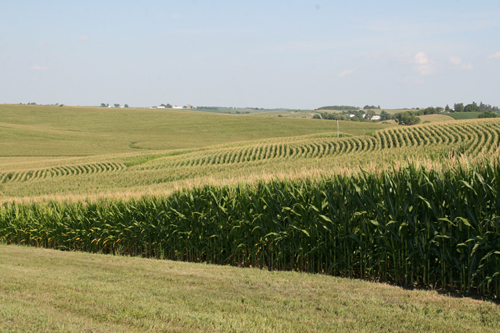 Corn fields in Iowa: Site of NSF's Intensively Managed Landscapes Critical Zone Observatory (CZO). : Photograph by Praveen Kumar courtesy of NSF. What's good for crops is not always good for the environment. 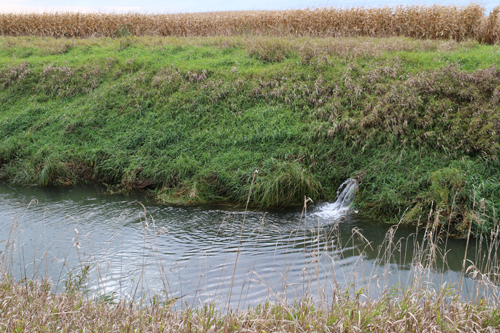 Nitrogen, a key nutrient for plants, can cause problems when it leaches into water supplies. Plants take up nitrogen as a nutrient from the soil through their roots. Nitrogen is added to the soil through fertilizer application or by microbes in the soil breaking down organic compounds. If the soil contains more nitrogen than the plants need, nitrogen leaches out into the water and can accumulate in lakes, rivers and oceans. “Nitrogen undergoes many transformations in soil as it is used, re-used, and made available by soil microbes,” according to "Nitrogen Transformations in Soil" by Carol Frate (available at http://cdrf.org/wp-content/uploads/2012/01/11.7_Nitrogen_Transformations-final.pdf). Where rock meets life: Researchers at NSF's Critical Zone Observatories study Earth's surface. 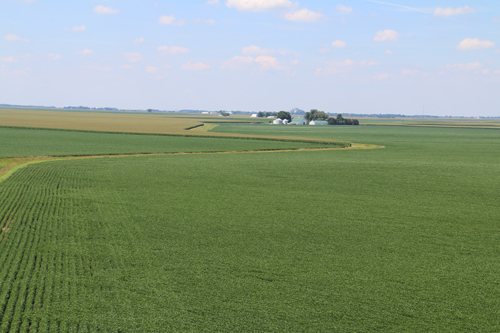 : Photograph courtesy of NSFNow, scientists have developed a model to calculate the age of nitrogen in corn and soybean fields, which could lead to improved fertilizer application techniques to promote crop growth while reducing leaching. Researchers Praveen Kumar and Dong Kook Woo of the University of Illinois published their results on July 25, 2016 in the journal Water Resources Research, a publication of the American Geophysical Union. 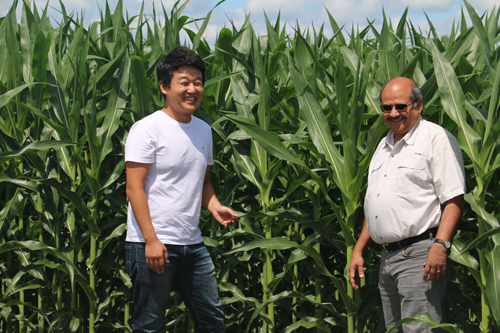 Scientists Dong Kook Woo (left) and Praveen Kumar study nutrients in corn productivity. : Photograph by Praveen Kumar courtesy of NSF. 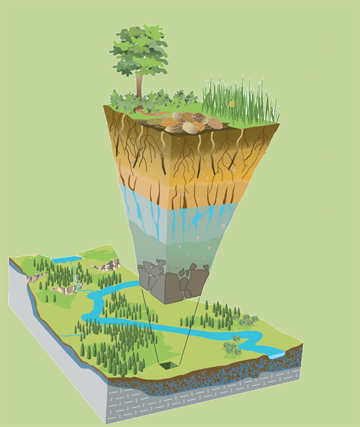 The National Science Foundation (NSF) supported the research through its Critical Zone Observatory (CZO) for Intensively Managed Landscapes, one of 10 such NSF CZOs. 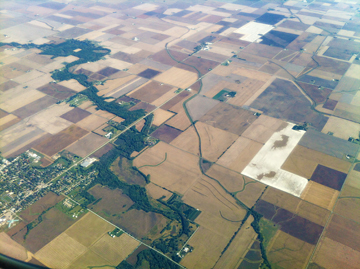 The Midwest offers the most productive soils in the U.S. for corn and soybean crops. : Photograph by Praveen Kumar courtesy of NSF. Scientists affiliated with NSF's Intensively Managed Landscapes CZO track land-use changes. : Photograph by Praveen Kumar courtesy of NSF. "Ammonium has a positive [electric] charge, which adheres to the soil particles and prevents it from leaching to the deeper layers," Woo said. "Because of that, we observe relatively higher nitrogen age in the upper layers, compared with the age of the nitrate that dissolves in water, which doesn't have that barrier and can migrate down through the soil." This news is from the National Science Foundation 25 July 2016. The article was published on the Horizon International Solutions SIte on 31 July 2016.